I asked you guys to comment on my blog for a give-away. 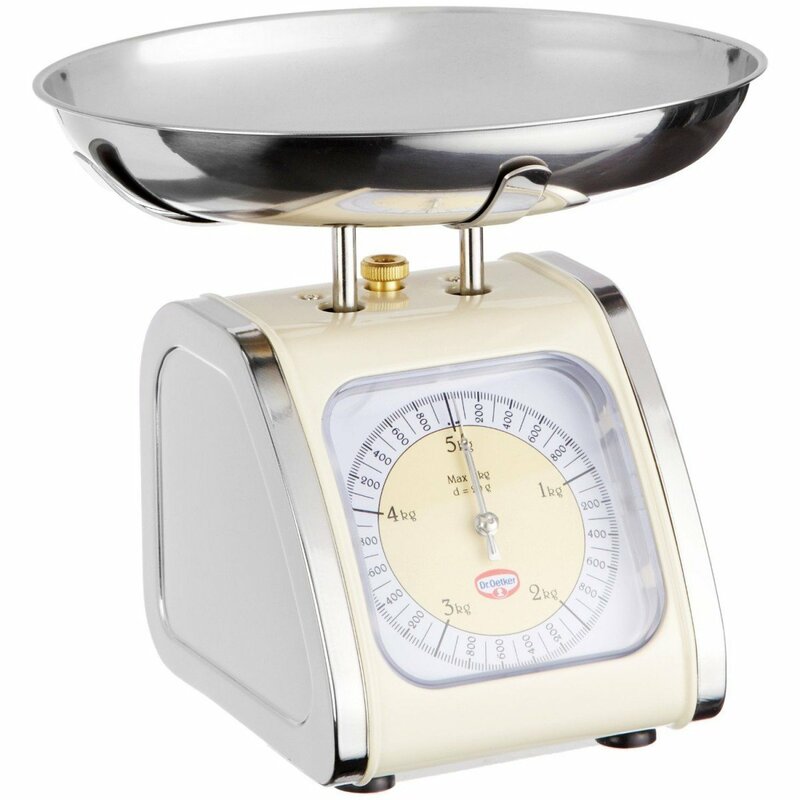 People in the European Union had the chance to win a custom-made cake by me, people outside the European Union had the chance to win this beautiful retro-style food scale from Dr. Oetker. If you want to read further details, check here. Well, today I would like to announce the winner: (drumroll, please) THE WINNER IS…. I already contacted her. I believe Hilde lives in the U.S., so she will get the scale. I got into baking French macarons. Recipe will follow shortly. I am even going to host a macaron-baking afternoon. Will definitely keep you posted how that is going to turn out. Really excited to have some girls come over and listen to French chansons! I can’t believe I am writing this, but I have a vegan cake waiting in the fridge to be eaten. Recipe will also follow shortly here. I don’t want to give away any details, but it is definitely a summer recipe, yay! Maybe you want to try eclairs but always found them too scary? Don’t be, this is a recipe I can recommend. Anyway, have a great weekend ahead and let me know what you are planning on baking this weekend!